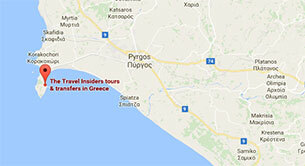 How to get to Ancient Olympia from Athens? 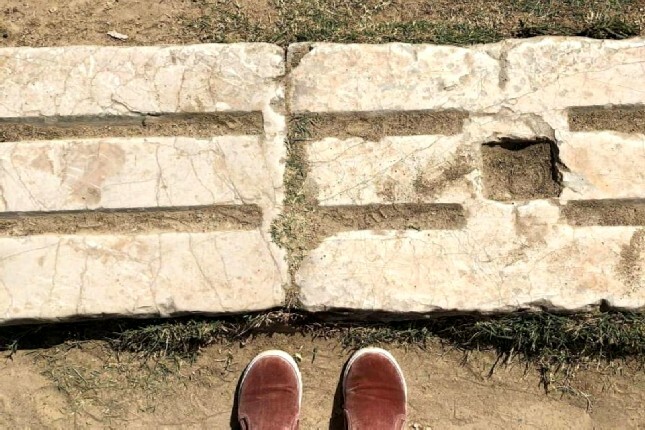 Ancient Olympia is not only one of the most recognized tourist destination in Greece but also one of the most powerful brand names worldwide. Thus, for many, a trip to Greece is incomplete without visiting the birthplace of the Olympic Games. 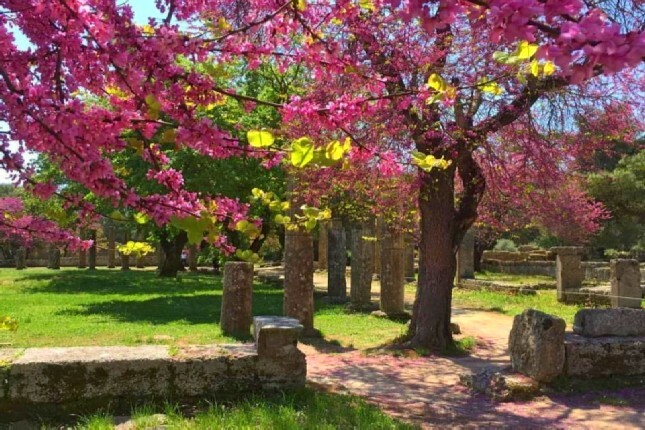 If you are one of these travelers and are wondering how to get to Ancient Olympia from Athens, The Travel Insiders’ guide, “All You Need to Know before Visiting Ancient Olympia” will offer all the insights on how to make Olympia easily accessible. How far is Ancient Olympia from Athens? 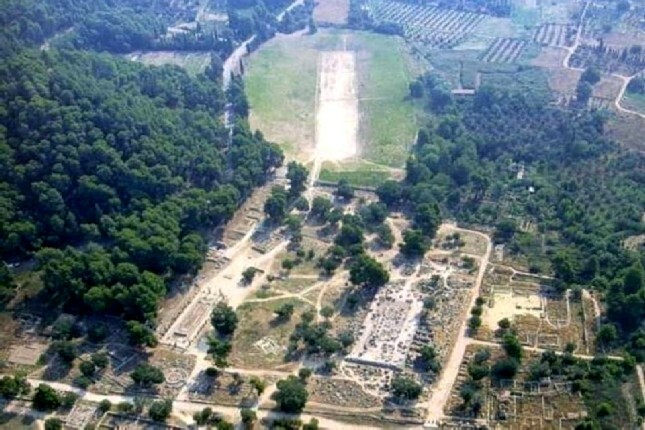 By air is not an option if you are thinking about how to get Ancient Olympia from Athens as there is no airport in Olympia. Therefore, visitors can only get to Ancient Olympia from Athens by road. Depending on your own pace and preferred stops, it takes approximately 4 hours to travel to Ancient Olympia from Athens. The estimated driving distance is 263 kms or 163.4 miles. What is the best way to get to Ancient Olympia from Athens? 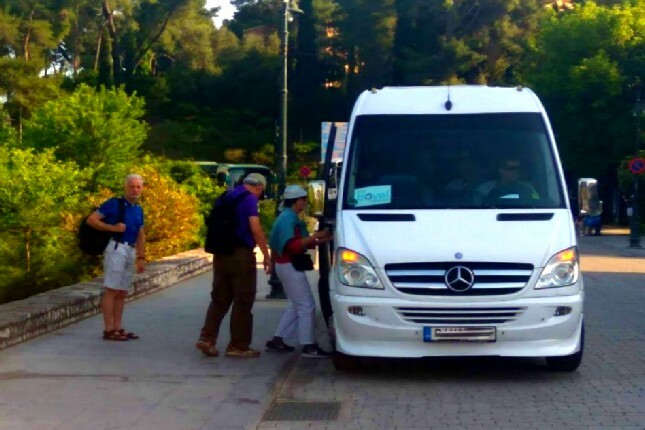 With The Travel Insiders’ Ancient Olympia tour, Ancient Olympia Private Day Tour from Athens, what is the best way to get to Ancient Olympia from Athens is no longer an issue! 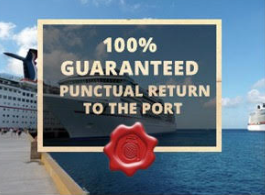 Our experienced driver will pick you up from your hotel, the Athens International Airport, Piraeus Port or your designated meeting point and will take you on a wonderful journey down to the western Peloponnese, and up to the "Valley of Gods". 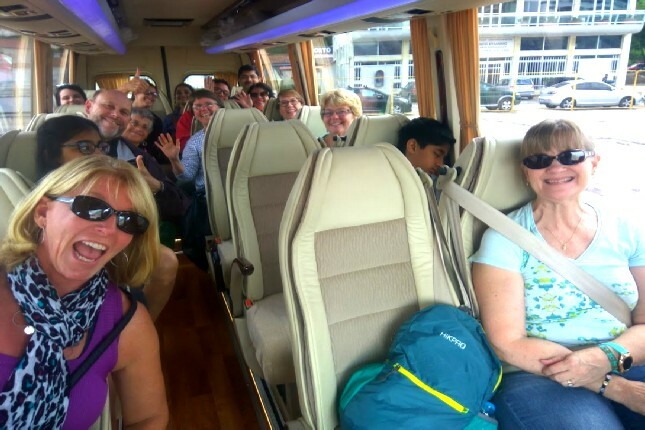 In your comfortable, fully air-conditioned vehicle – a chauffeured private car, coach, mini bus, minivan or taxi - you will drive away from the city through the industrial area of Attica. Along the way, you can enjoy the wonderful views of the Saronic Gulf islands. 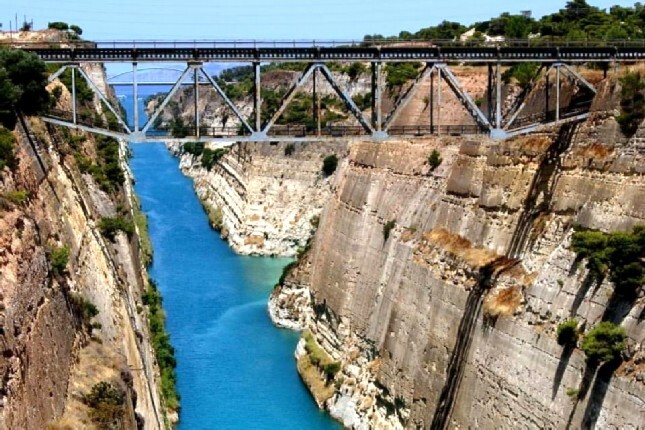 Stop off for a photo or two at the Corinthian Canal and marvel this 19th century marine engineering feat which separates the mainland from the Peloponnese peninsula and connects the Ionian Sea with the Aegean Sea. Your scenic drive will take you through the Greek countryside and alas, to Olympia, the birthplace of the Ancient Olympic Games. 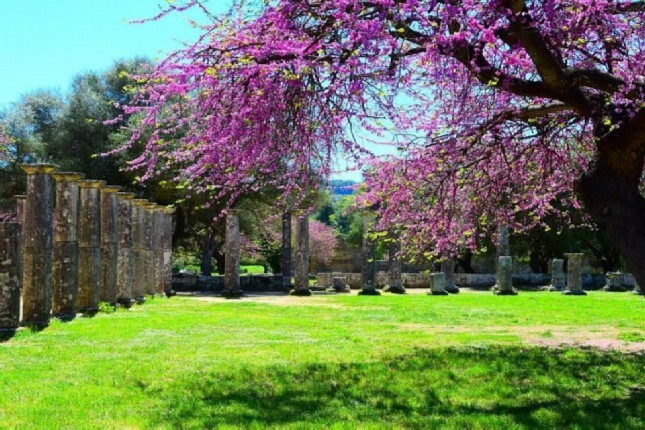 What to see on an Ancient Olympia tour from Athens? 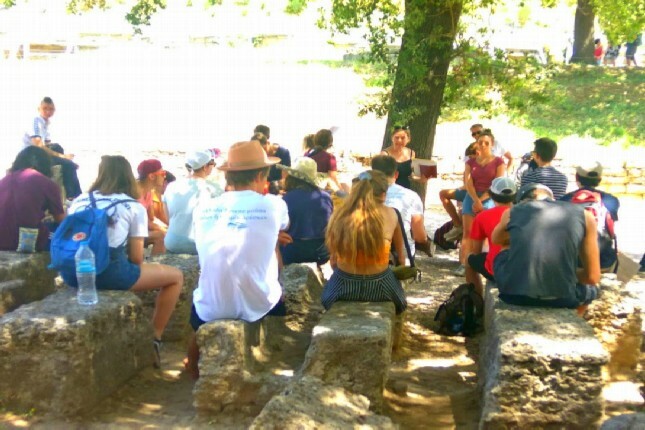 Upon arrival at Ancient Olympia, your certified guide will accompany you on your Ancient Olympia tour through the archeological site in order to initiate you into the values of the Olympic Spirit and explain what to see on an Ancient Olympia tour from Athens. 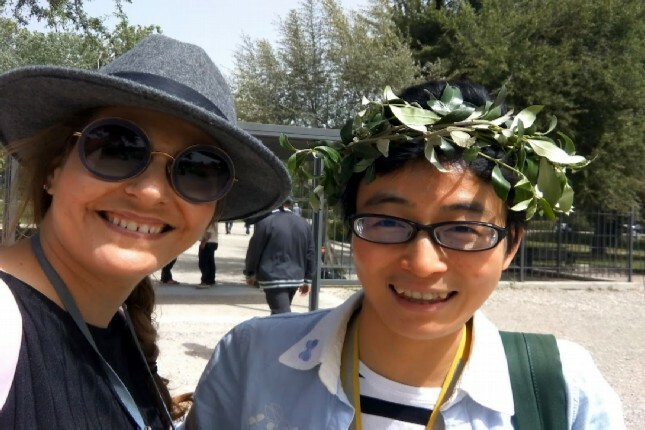 All our guides are certified as only certified tourist guides by the Greek Ministry of Tourism may conduct tours within archeological sites & museums in Greece. 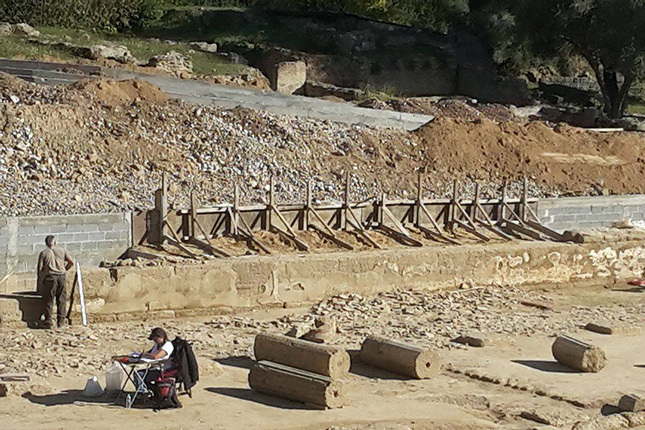 The archeological site, which is one of the monuments of the world heritage of UNESCO, has the appearance of a park. Together, you will discover the ancient Olympic training facilities, the gymnasium and the palestra. 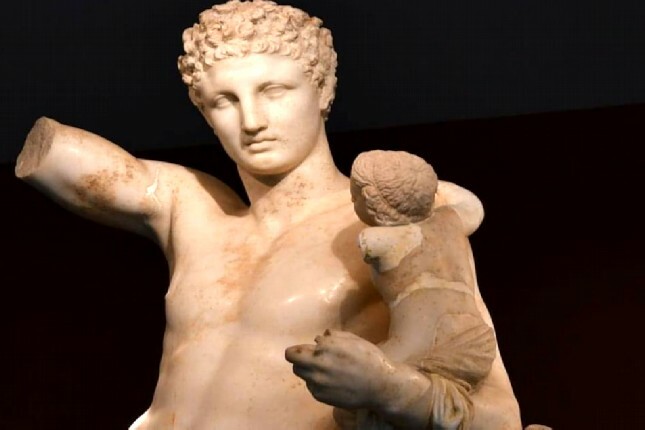 Relax under the shady trees in the site as you share your thoughts about the wonders of the ancient world and try to visualize one of these seven wonders, the golden and ivory statue of Zeus, which was once housed in his temple. 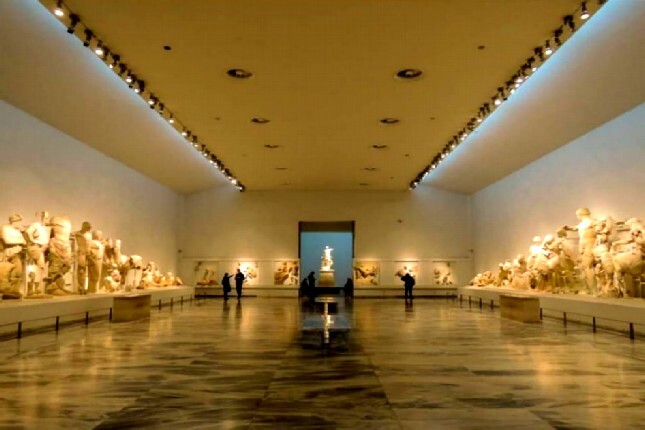 Then, just a short walk away from the site, you will visit the Archeological Museum of Olympia. The displays housed in the museum are the original antiquities found at the nearby excavations. Your certified guide will point out the museum highlights, such as the Zeus Temple pediments and the Hermes statue with its perfect anatomy. This 4th-century statue influenced the thought and design of the artists of the Renaissance profoundly. 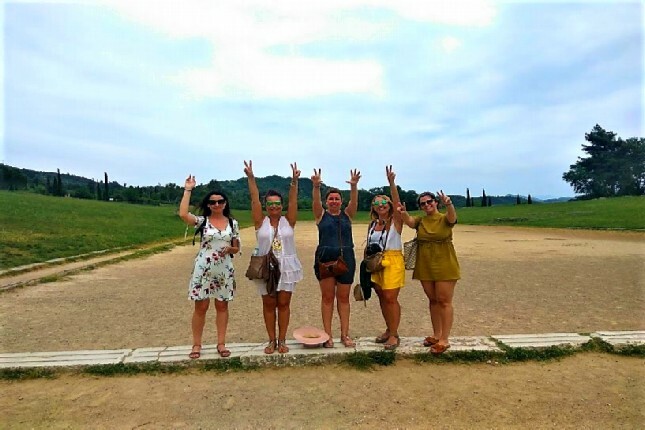 What to do on an Ancient Olympia tour from Athens? You will definitely find what to do on an Ancient Olympia tour from Athens numerous and insightful. 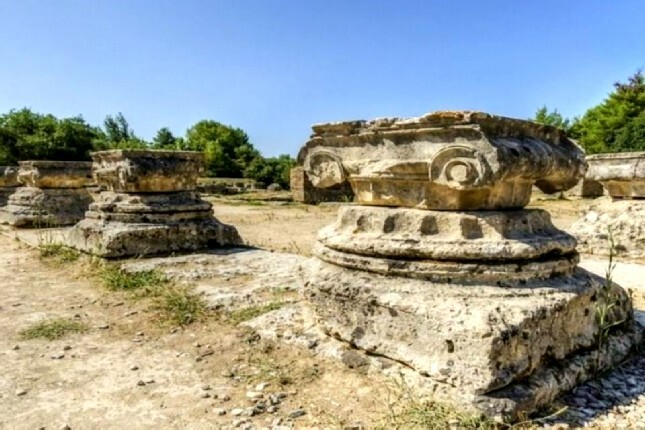 At the ancient site, make sure to visit the Temple of Goddess Hera and stand before it at the exact place where the Olympic fire is lit for each opening ceremony of the modern Olympic Games. Take lots of photos and at the next Olympic flame lighting ceremony, remember you were there! 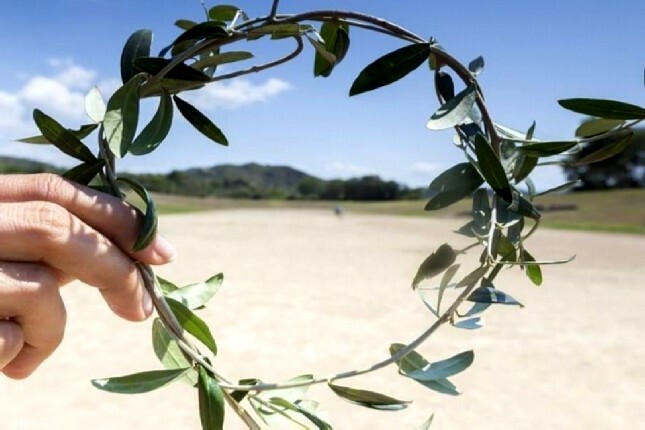 At the ancient Olympic track, run like the wind in the steps of the ancient athletes and be crowned winner with your own olive wreath! After exploring the serene setting of the ancient sacred grounds and its exceptional museum, enjoy some free time among the locals as you relax over a coffee or lunch in the modern town of Olympia. 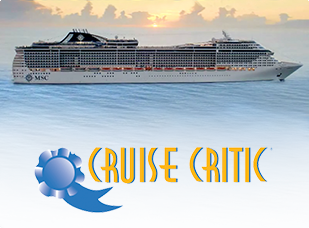 Try the Greek souvlaki or do some souvenir shopping. What to shop on an Ancient Olympia tour from Athens? If you find yourself contemplating about what to shop on an Ancient Olympia tour from Athens, you may take a walk around the modern town of Olympia or ask our Olympia destination manager to visit the local Association of Agriculture. There you will have the opportunity to shop one-of-a-kind souvenirs and any of the renowned produce from this blessed land - but not only! 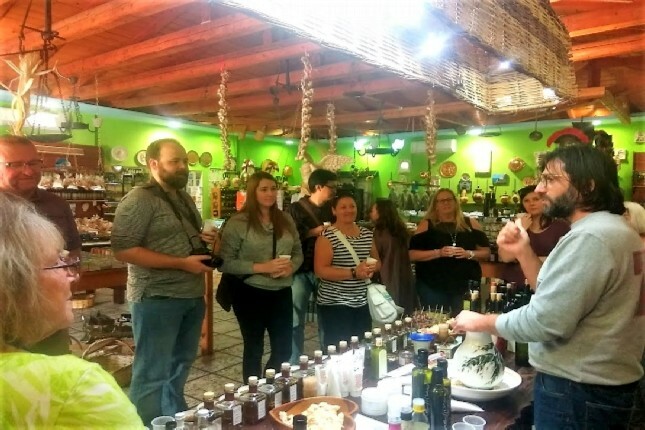 You will also have the opportunity to experience a free wine and olive oil tasting. 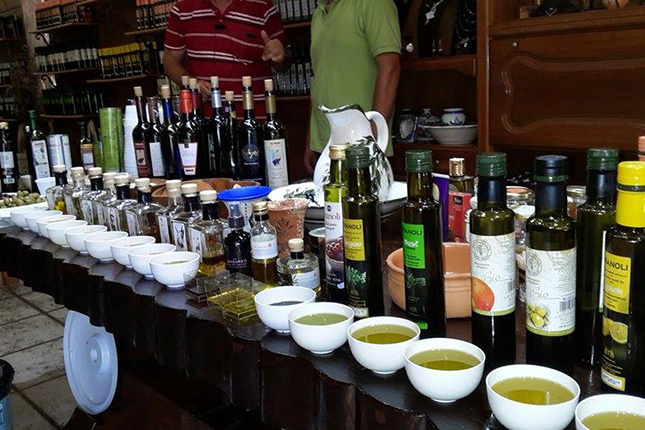 Enjoy the famous Greek olives and assortments of olive oil, the essence of the Mediterranean Diet, and the exquisite local wines, cultivated in the region for over a millennium! What is included on an Ancient Olympia tour from Athens? What is not included on an Ancient Olympia tour from Athens? Finally, after enjoying your Ancient Olympia Private Day Tour from Athens, you will head back along the spectacular coastline to discover the fertile landscapes of rural Greece along the way. Near the city of Patra, you will get an awesome view of the Rion Antirion bridge, the longest fully suspended bridge in the world and one of the longest of the multi-span cable-stayed type. 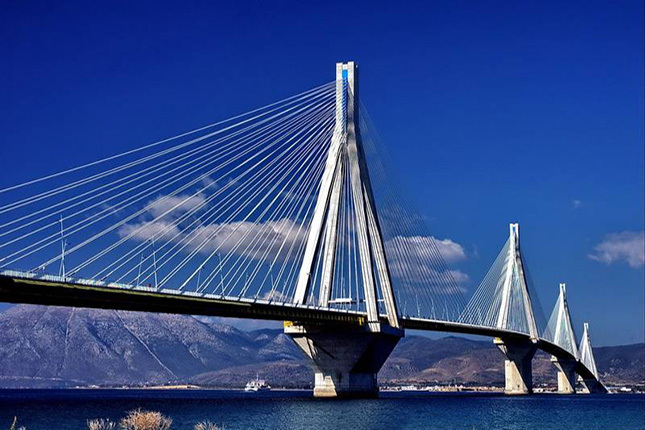 The bridge crosses the Gulf of Corinth and links the town of Rio on the Peloponnese peninsula to that of Antirio on mainland Greece. 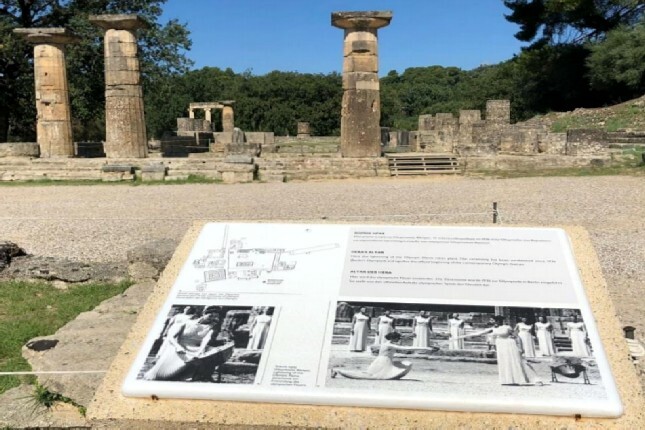 For those who have read how to get to Ancient Olympia from Athens but would also like information on how to get to Ancient Olympia from Katakolon Port, please see The Travel Insiders’ guide, “All You Need to Know before Visiting Ancient Olympia”.